Originally under the Spanish reign like many other Latin American countries, Bolivia (officially known as Plurinational State of Bolivia) gained its independence thanks to Simon Bolivar in 1825. Back then, the country was much larger and it even had access to the sea (which it continues to celebrate on the Day of the Sea on March the 23rd). Now, it is a landlocked nation, sharing a border with Brazil, Paraguay, Argentina, Chile and Peru. It’s no surprise that “plurinational” should appear in the country’s name, when we consider how culturally diverse it is. There are four official languages: Spanish (official) 60.7%, Quechua (official) 21.2%, Aymara (official) 14.6% and Guarani (official) 0.6%. Other foreign languages are also spoken by more than 2% of the locals. In fact, the 2009 constitution designated as many as 39 indigenous languages as official languages (some of which are now extinct). It even have two capital cities: La Paz and Sucre. As far as natural disasters are considered, Bolivia doesn’t appear to be too affected. The occasional flooding in the Northeast and volcanos along the border with Chile are the main dangers. However, recent droughts and difficulty accessing enough water are growing issues. Furthermore, the water that the locals can access is often polluted and can spread diseases. Research centers like the Stockholm Environment Institute are getting involved in order to find a solution, so hopefully, proper water management will make a huge difference. The country also has many natural resources, which have been exploited over the years, resulting in unfortunate consequences. The tin mines, for example, were an important source of income for Bolivia for a long time, but when the tin market collapsed in 1980s, not only were the mines practically empty, but many workers lost their jobs. Among the other local resources, we have natural gas, petroleum, silver, iron, timber, gold and other metals. Their exploitation has led to deforestation, poor agriculture and poverty. As one of the largest producers of cocaine, human trafficking and forced labour are also prevalent in Bolivia. That said, Bolivia has great potential because the people are hardworking and the government continues to strive for more equality. 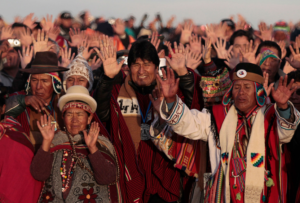 The current president, Evo Morales, is particularly popular because his campaign addresses the social class problem and the unrest in the country. Bolivians need to be empowered to avoid being exploited by richer countries and even richer classes (which explains the nationalization of the energy industry and the large number of entrepreneurs). Bolivia has the highest income inequality in South America. As a country with access to some very interesting natural resources, a part of the population has benefited from that, and the other has remained crippled by poverty and a lack of education. Even if the violent protests and racial tensions from the early 2000s are over, the country still has a long way to go. The GDP grew rapidly in 2013 and 2014, but the dependence on the rest of the world for their growth and productivity makes it difficult for Bolivia to have proper autonomy and control. 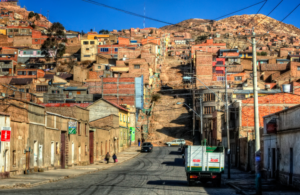 To counteract these issues, Bolivians have proven to be very entrepreneurial. In fact, they were named the most entrepreneurial country in the world in 2008. Currently, 60% of Bolivians are self-employed or freelancers. That can make it difficult to recruit because they believe in owning a business for more autonomy and greater flexibility. As the gig economy sweeps the world, Bolivia already knows the advantages of working for oneself. However, that doesn’t mean they aren’t open to partnership and new investments in their country, when handled correctly. Of the 11.22 million inhabitants, about 7 million of them are between the ages of 15 and 64. This makes for a large workforce of people with a long history of innovation and independence. If these assets are utilized on a grand scale, it could definitely be an interesting business project. One of the major sectors is agriculture, which will continue to flourish with the right interest in current research and improvements. Unfortunately, many children don’t go to school and many adults don’t have any formal training, so it can be difficult to recruit for positions which require a university education. That’s where referrals can come in handy. Experience and referrals are more likely to provide insight into a candidates’ (potential) skills. Even if children don’t go to school, they learn about business very early on from seeing their parents and neighbours work. With the right on-sight training, employees could definitely start at the bottom to become the right fit for the job. You’ve probably understood by now why Bolivia can be hostile towards foreign investment. That doesn’t mean that a foreign company can’t recruit in the country, if the basic Bolivian culture is respected. First things first, at least some Spanish is a requirement. Bolivians don’t expect foreigners to be fluent in their national languages, but it is a sign of respect to at least try to communicate in Spanish. It is important to emphasize partnership, rather than hierarchy and attempting to communicate in the local languages is one way of doing that. Other cultural differences that recruiters should keep in mind can also be found in linguistic formalities, such as the different ways of saying “you”. Bolivians are very friendly, but they are also very business-minded. Even if you might often have meetings over meals (rather than in an office room), that doesn’t mean you stop being formal. When addressing colleagues and employees, using the right form of the word “you” will showcase your knowledge of the Bolivian culture. There are as many as five different “you” forms in Spanish (not all used in Bolivia) so be careful! Not only are Bolivians careful about which pronoun they use, but they also don’t address each other by their first names until they are very conformable with each other. This means that in business and in recruitment, it’s best to avoid first names. However, you can (and should) use people’s titles when possible. Bolivians are proud of their titles and their achievements. In fact, anyone with a university degree is considered a “professional”. If you want to appeal to a candidate with many credentials, show them that you recognize their accomplishments by referring to them explicitly. In Bolivia, only 30% of the population has access to the internet, which means that online recruiting cannot always reach enough candidates. For the time being, recruitment relies heavily on recommendations. For that reason, you’ll have to get to know the locals and other businesses so that they can recommend candidates. That said, recommendations are so important that people won’t recommend workers based on nothing, and they won’t recommend to just anyone. For a recruiter, it is vital to cultivate relationships with other businesses. Essentially, networking is the key. You want to get to know people, so that they will want to help you recruit. Remember though: Bolivians expect face-to-face interaction, so meet people and interview candidates in person when possible. 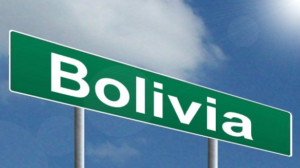 To work in Bolivia, a residency visa is required. A contract is not valid unless the candidates also have a residency visa, so make sure you check all the candidates’ paperwork. Speaking of paperwork, Bolivians take their contracts very seriously. Unlike some other Latin American countries, like Colombia, Bolivia doesn’t accept oral contracts. 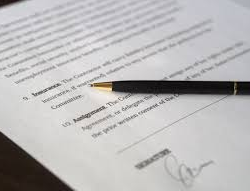 In fact, a contract isn’t considered binding until all accompanying documentation has been signed, notarized, approved and so on. 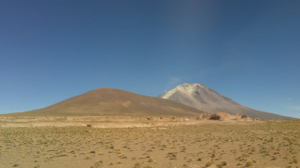 When hiring in Bolivia, consider offering greater flexibility than what you would usually provide. Bolivians like their freedom and, as we said before, struggle with hierarchy. If you want your employees to work efficiently, you have to let them work at their own pace. Even if that means some deadlines aren’t met, it’s worth the wait to ensure your workers are happy and productive. In much the same way, it can be quite damaging to point out employee mistakes publicly. Since the locals are relatively proud and autonomous, it can be seen as belittling to make their mistakes known to all. Trabajopolis: By far the most popular job board of the three, Trabajopolis only operates in Bolivia. Opcionempleo: An aggregator in Latin America with varying popularity from one country to another. Buscojobs: Like Opcionempleo, Buscojobs operates all over Latin America. The team is particularly friends, making recruiting that little bit easier! You can check out their profile for more information. We hope are article on recruiting in Bolivia has been enlightening! 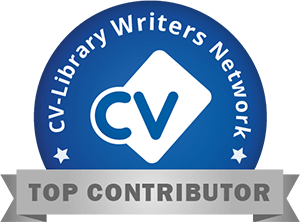 If you have any suggestions for our Jobboard Finder blog, we’d love to hear them.